We have a few resident lifer geldings here - Woody, Ray and Dash. 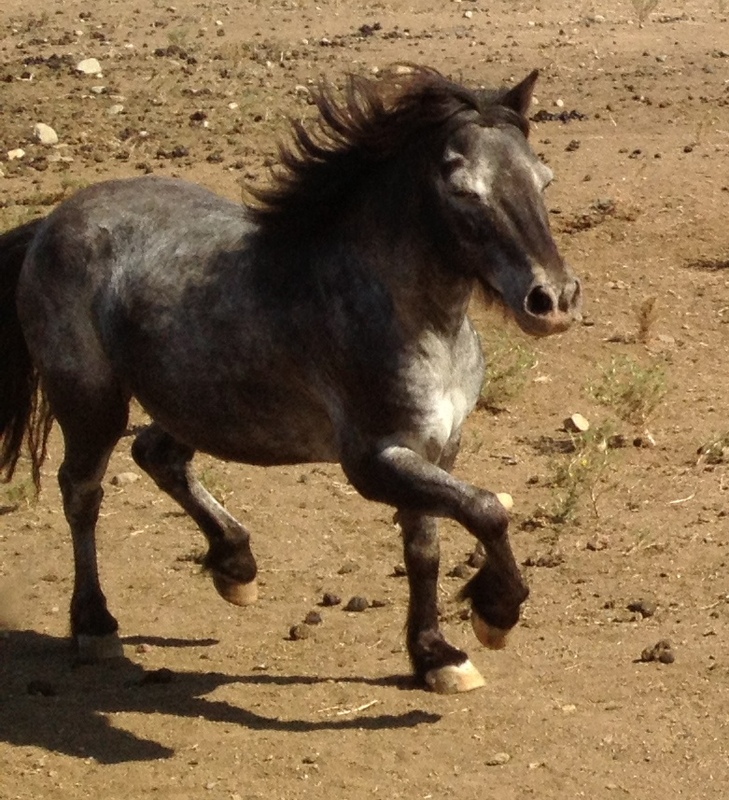 Generally we try to have at least one or two geldings for sale as well, but the demand has increased (yeah! ), so have been "out of stock" lately. As we only geld between November - March (no fly season), we do not geld current year colts until at least Novemeber. Therefore, we do do offer a Gelding Incentive Program for those that buy a colt/stallion and are willing to undertake gelding their colt/stallion. But, if you would like to have your colt/stallion gelded before leaving, arrangements can be made through UC Davis Field Service (530) 752-0292. Any other health checks/vaccinations can be performed then as well. (If we are having a colt gelded at the same time, the field service travel fee will be split equally. UCD will need your billing information for all vet work.) If you would like your horse transported to UC Davis to be gelded, please confirm with UC Davis availaibility first, then contact us for details on transport costs. We attend all geldings and encourage new owners to attend as well, but understand some aren't up for that! Sample language of Gelding Contract language can be found here. You can also Email or call for further details. Tox, pictured here is off with his new family, but we love this pic! He found his perfect home so thrilled with that. We do prefer to wait to geld until our Minis are over the age of two if possible, (see growth plate chart), but have gelded as early as six months. It's a personal preference, and fortunately we have the space to accomodate the boys until we feel they're mature physically to be gelded. There are benefits to gelding early and also gelding later. There is a consideration with Minis as there is some evidence that early gelding, may increase the height (search Google for the various opinions!). A great, thoughtful article on Gelding (and why you should) can be found on Natural Horse World. Las Doradas Orions Sweet Woodruff aka "Woody"
Woody is one of the original three (the W in Wesco) we started with back in 1999. 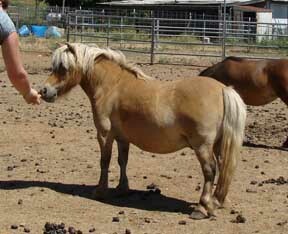 He was purchased as a pet and gelded at nine months. He outgrew his A papers, but we don't care, he's a great guy and one of our lifers! He is also our resident founder case. He tends to have chronic hoof problems, so spends his time babysitting the yearling colts or hanging with one of hus buddies in the "founder/fat paddock", a 2.5 acre dry lot. He's steadily getting worse every year, so we know he'll give us the I'm done one of these days. Until then, we try to keep him pain free and happy. Wesco Farms Rayo del Sol aka "Baby Ray"
Baby Ray (still called a Baby at 18), was one of our first foals, back when shorter was the thing. He has the very old-style look - lots of body and no legs (50/50)! He has the same build and is a chunky-monkey much like his sire. We knew he was a lifer and definitely NOT breeding quality even as a foal. 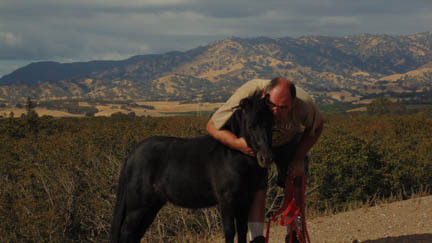 So, he's spent his life with the mare herd, generally with his half-sister Jiji or his buddy Dash. Dash is just a gorgeous Mini. We sold him as a weanling, and bought him back after we found he'd been in a series of homes and the last owner was going to take him to auction. He was gelded on his return and is a lifer now. We did have him trained to drive (rock-solid great personality! ), but right now he's a tad round and I'm not sure he'd fit in his harness! We'll have to check one day!